I’ve been on a bit of a Greek thing lately, but for good reason: the current reign here in Calontir is Greek-themed. As a result of this kind of inspiration (which, lots of Greek things influenced the Romans which influenced the Byzantines who were Roman but spoke a lot more Greek in an official context. Kind of a full circle thing, really), I’ve been doing some research into fibulae, and came across this particular one at the Louvre. It’s a beautiful piece, and particularly large – 7.5 cm or about 3 inches. 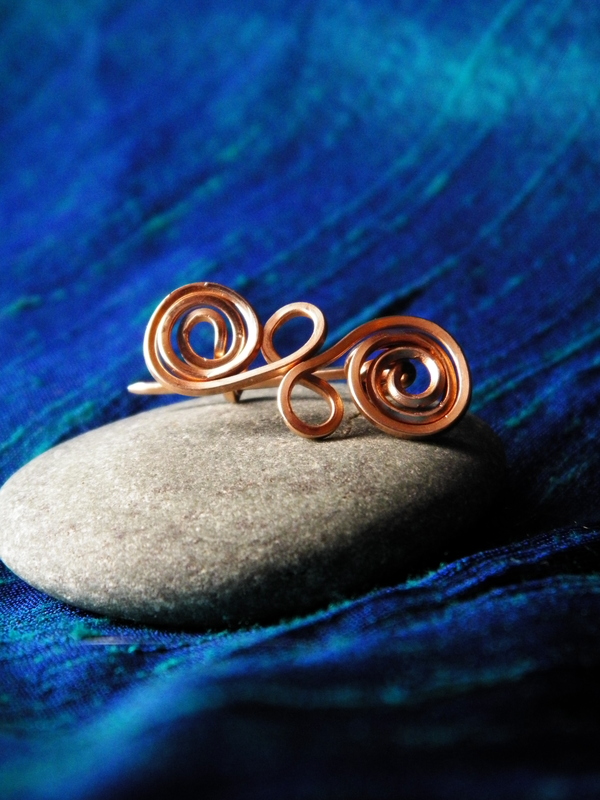 It also appears to be made from one piece of hammered copper alloy wire. Now, whether or not that particular alloy is more like brass (copper + zinc) or bronze (copper + tin) remains to be seen, though the Louvre does call this as bronze, as there’s a lot of research in that department that I still have to do. Interestingly, but perhaps not surprising to those who know of the general thought process of our ancient and medieval counterparts is that according to the Louvre, “a few fibulae of unusually large proportions probably indicated the social rank and wealth of their owners.” So, this was the swag of antiquity. Cool. Really, though, conspicuous consumption and our forebears really isn’t anything new – just different. Anyhow, I had a commission that needed to be completed for someone who wanted a set of bronze fibulae. I’m happy that not only did my client love these, but that I was able to do so, make it look like it stepped out of history, and that they’re functional! The pin sproings where it needs to, and the point is sharp and stiff enough to poke through fabric. 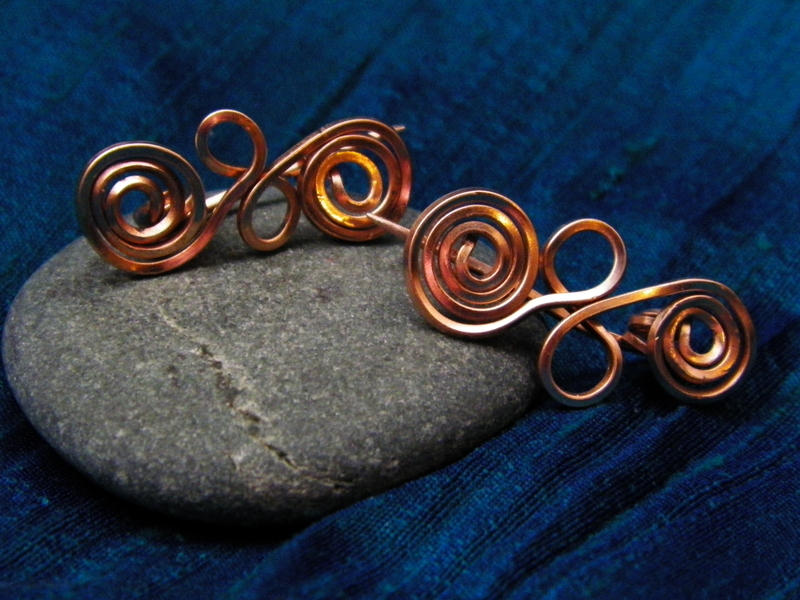 One of the fun things is that I have noticed is that these make fabulous shawl pins for modern wear. And, yes, these may get posted to my etsy shop soon. Yes, I’ll have a photo tutorial on how to make these soon – but I also will need to get someone to operate a camera for me when I show the process! Keep posted! This entry was posted in calontir, fibulae, Greek, SCA, Society for Creative Anachronism, wire and tagged bronze, calontir, fibulae, Greek, jewellery, jewelry, SCA, society for creative anachronism, wire. Bookmark the permalink.